Cerebral Palsy [CP] is defined as "a disorder of movement and posture that appears during infancy or early childhood resulting from damage to the brain". The brain injury is permanent, although interventions, particularly physiotherapy, in infancy and childhood can improve the physical performance and function in individuals with CP. Individuals with very profound CP (ie. complete dependence for all activities of daily living) who have severe reduction in postural control may experience compression of internal organs due to soft tissue contractures and asymmetrical posture, eg. severe scoliosis, and in these cases life expectancy may be reduced. However, the majority of individuals with CP will have a similar life expectancy to non-CP people. The main factors for life expectancy in CP are gross motor function and feeding difficulties. Individuals who are independently ambulant and able to feed independently have life expectancies in the normal range. Muskuloskeletal abnormalities which do not result in discomfort during childhood frequently start to cause pain in adulthood. Abnormal approximation of joint surfaces can lead to early development of osteoarthritis (degenerative arthritis). Limitation in muscle strength and alterations of movement patterns mean that people with CP are at risk of developing overuse syndromes. Independent walking, both with and without use of walking aids, is known to reduce significantly in adulthood, with a number of individuals losing the ability to walk independently and an increase in the wheelchair use. In one study of adults with CP, 44% reported deterioration in ambulation. Studies have demonstrated that in adults (even young adults) with CP the prevalence of fatigue is much higher than in the general population. One study looking at bilateral CP reports fatigue in 61% of patients, with 40% complaining of severe fatigue; another (from Norway) looked at both unilateral and bilateral CP and found that 30% experienced fatigue, compared to just 18% in the general population. A recent study in the Netherlands explored which subgroups of CP are more at risk of fatigue; the authors found that "participants with bilateral CP were more fatigued and should be considered at risk for higher levels of fatigue" and conclude "we recommend that rehabilitation programmes to decrease fatigue for young adults with CP should use a multifactorial approach". A variety of bladder problems can occur, including urine retention, hyperreflexia and urge incontinence. The abnormal strain put on the joints of individuals with CP, and the fact that the bones have grown under this abnormal loading, frequently leads to joint deformities, mainly in the spine and lower limbs. Joint pain is a common occurance, even in young adults; it occurs as a result of the abnormal strain on the joints. A large Norwegian study of adults with CP aged from 18 to 72 years old found that 82% reported musculo-skeletal pain from at least one part of the body. 28% of the CP cohort reported daily pain for a year or more, compared to just 15% in the non-CP population. The back, hip, lower limbs and shoulders are the most common pain locations in many studies. Management of spasticity may include oral antispasmodic medications, intrathecal Baclofen and Botulinum Toxin injections. Musculoskeletal pain and deformity can often be improved with physiotherapy interventions including neuromuscular re-education, strengthening exercises, postural advice and soft tissue mobilisation and myofascial release techniques. In some cases surgical interventions may be required to correct painful bony deformities, with the hip being one of the most common sites; surgical interventions for hip deformities include head-neck resection, valgus osteotomy, hip arthodesis and total hip replacement. Management of scoliosis may involve physiotherapy techniques or, in severe cases, surgical interventions. Preoperative Variables Associated With Respiratory Complications After Pediatric Neuromuscular Spine Deformity Surgery. Why extragastric deep-type buried bumper syndrome should (not) be a contraindication for endoscopic treatment? Long-Term Outcomes of Small for Gestational Age Twins Born at 34 Weeks or Later. ↑ Michele Bottos, Alessandra Feliciangeli, Lucia Sciuto, Christina Gericke and Andrea Vianello (2001). Functional status of adults with cerebral palsy and implications for treatment of children. Developmental Medicine and Child Neurology, , pp 516-528. doi:10.1017/S0012162201000950. ↑ Jahnsen R, Villien L, Egeland T, Stanghelle JK. Locomotion skills in adults with cerebral palsy. Clinical rehabilitation. 2004 Mar 1;18(3):309-16. ↑ 5.0 5.1 5.2 Hilberink SR, Roebroeck ME, Nieuwstraten W, Jalink L, Verheijden J, Stam HJ. 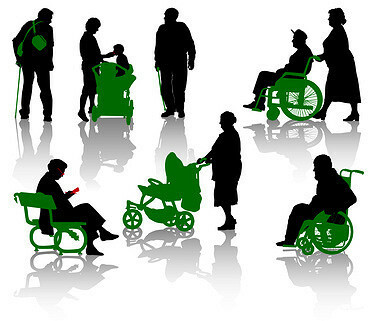 Health issues in young adults with cerebral palsy: towards a life-span perspective. Journal of Rehabilitation Medicine. 2007 Oct 5;39(8):605-11. ↑ Russchen HA, Slaman J, Stam HJ, et al. Focus on fatigue amongst young adults with spastic cerebral palsy. Journal of NeuroEngineering and Rehabilitation. 2014;11:161. doi:10.1186/1743-0003-11-161. ↑ Mayo ME. Lower urinary tract dysfunction in cerebral palsy. The Journal of urology. 1992 Feb;147(2):419-20. ↑ Tosi LL, Maher N, Moore DW, Goldstein M, Aisen ML. Adults with cerebral palsy: a workshop to define the challenges of treating and preventing secondary musculoskeletal and neuromuscular complications in this rapidly growing population. Developmental Medicine and Child Neurology. 2009 Oct 1;51(s4):2-11. ↑ Jahnsen R, Villien L, Aamodt G, Stanghelle J, Holm I. Musculoskeletal pain in adults with cerebral palsy compared with the general population. Journal of Rehabilitation Medicine. 2004 Mar 1;36(2):78-84.